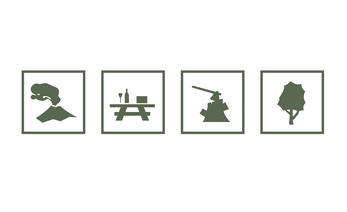 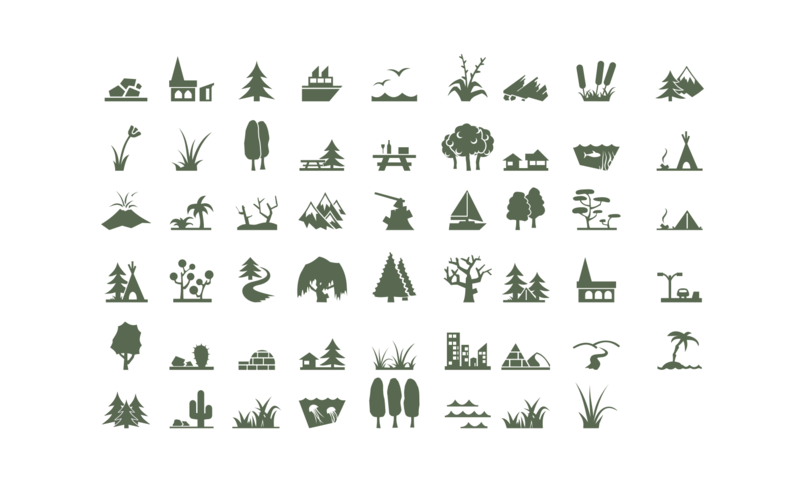 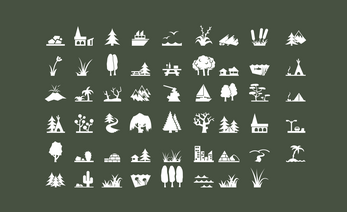 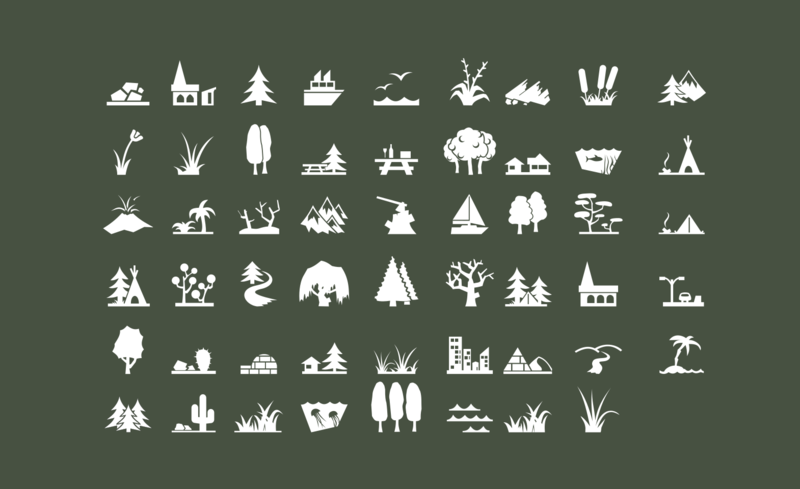 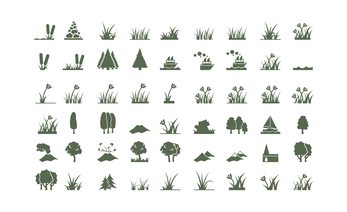 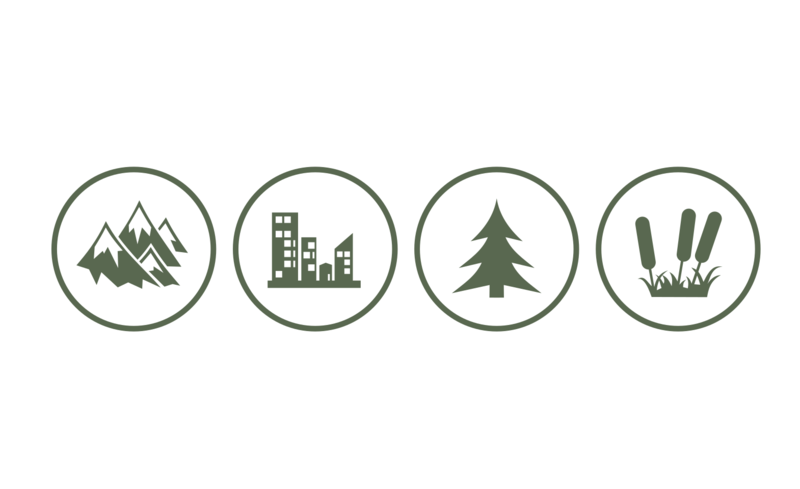 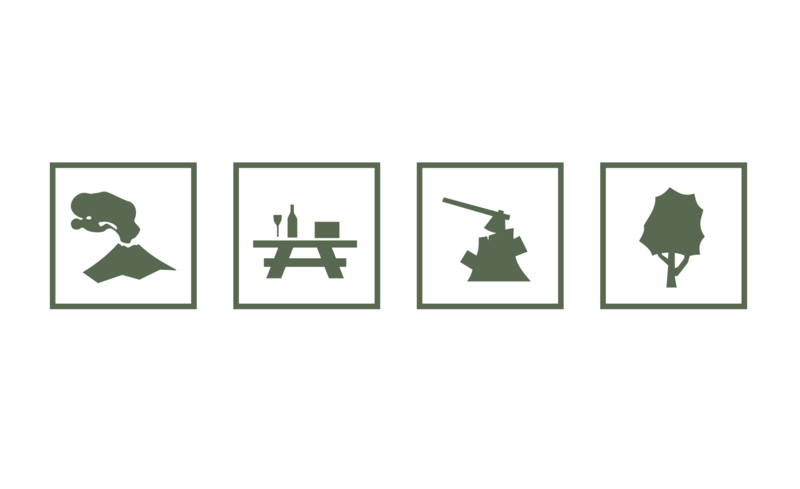 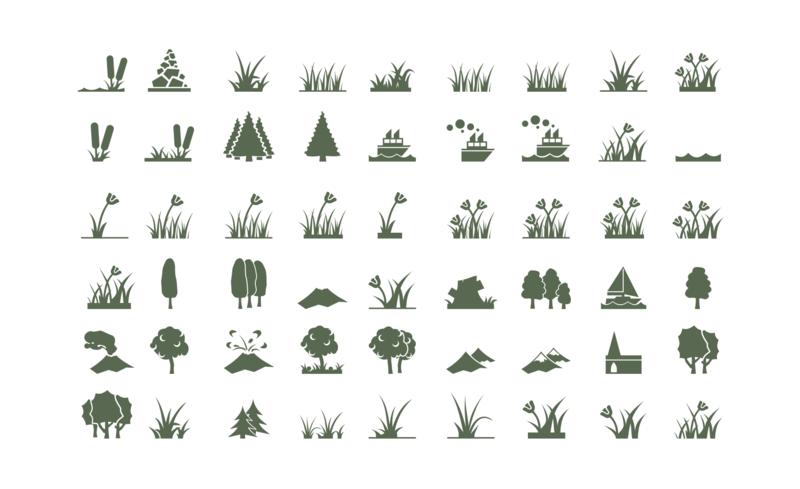 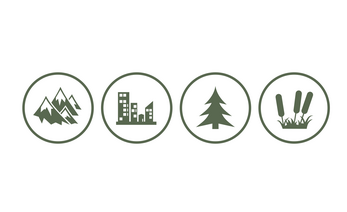 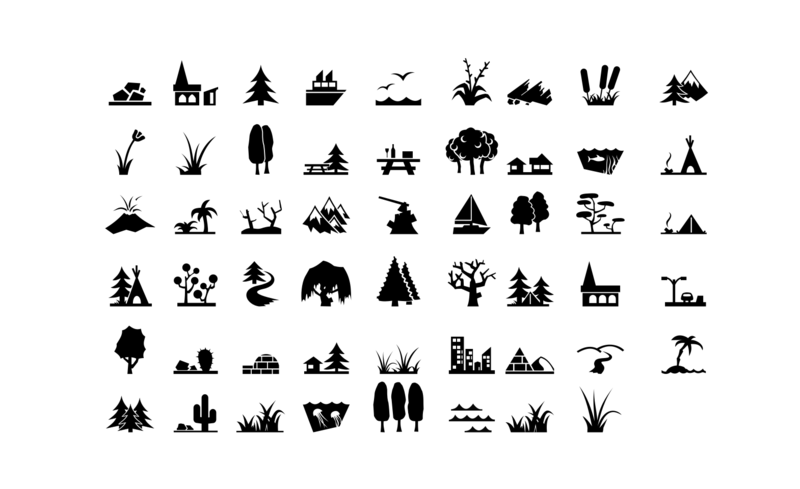 A set of 45 icons and an additional 62 variations covering a wide range of typical environments, biomes, and natural locations. Includes scaleable source SVG files. 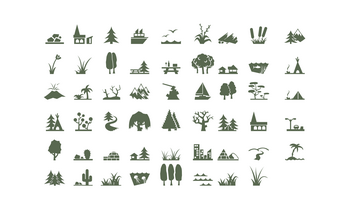 .PNGs at multiple resolutions (32, 64, 128 and 256 pixels).